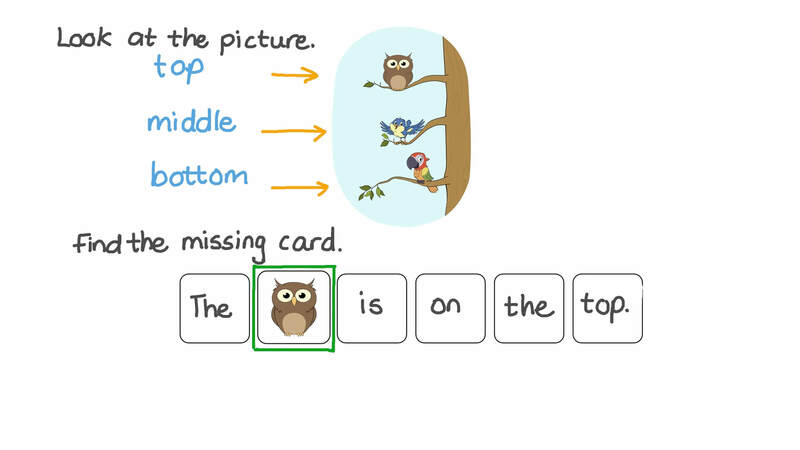 In this lesson, we will learn how to use the words "top," "middle," and "bottom" to describe the positions of objects relative to each other in a picture. 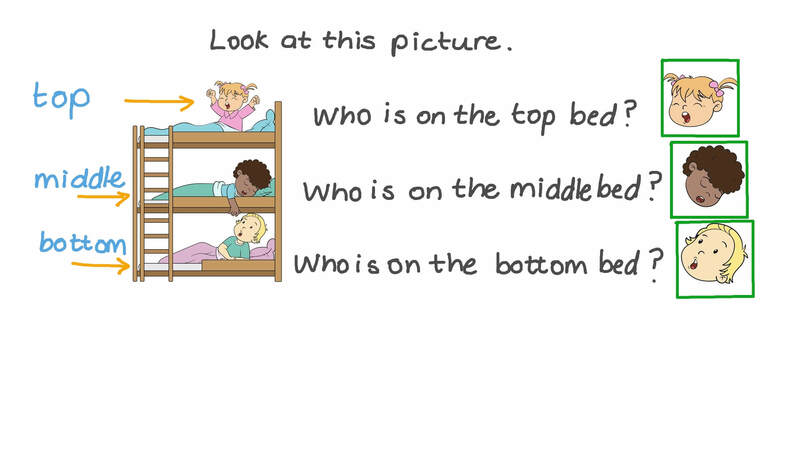 Who is on the top bed? Who is on the middle bed? Who is on the bottom bed?